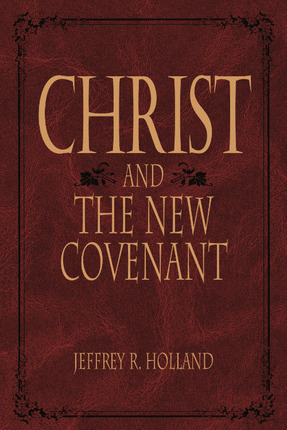 Introducing a major new doctrinal work written by Elder Jeffrey R. Holland who shares his apostolic witness of the central figure of the Book of Mormon — the Lord Jesus Christ. For most of a decade, Elder Holland has read the Book of Mormon repeatedly and thoroughly, focusing on all references to the Savior and his teachings. The result is an intelligent observation and thorough study of the Book of Mormon's contribution to our understanding of Christ. Illustrated edition:Elder Holland's classic examination of Jesus Christ as the “principal and commanding figure” in the Book of Mormon is now available as an illustrated keepsake. This landmark book explores what the Book of Mormon reveals about the character, attributes, and mission of our Savior. In his warm and thoughtful style, Elder Holland explains why, more than any other book, the Book of Mormon “has taught me to love the Lord Jesus Christ and to consider the full wonder and grandeur, the eternally resonating power of the atoning sacrifice he made for us.” Stunning full-color illustrations by Walter Rane, Robert Barrett, Simon Dewey, Joseph Brickey, and others bring vibrant new life to this beloved volume. I love this book. It details and reviews Book of Mormon passages and stories helping the reader to better understand its meaning and purpose and how it applies to our lives today. Undoubtedly one of the, if not the, BEST books I've ever read. Elder Holland is brilliant and has been critically instrumental in my return to the Church after 30+ years. Thank you Elder Holland, for writing this amazing book. 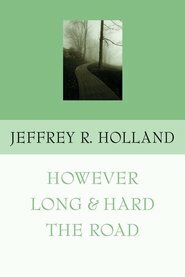 One thing I want to say is this book is Abridged, so if you are like be and follow along with the book in hand, you can get very frustrated by the way Elder Holland jumps around sometimes into the middle of a paragraph. As long as you are prepared for that little bump in the road the book is truly inspiring and can open your mind to new understanding of the Book of Mormon. I really love this book and the illustrations. Not only is the book insightful and thought provoking (just like so very many of Elder Holland's Conference talks), but the MP3 audio book version is also actually read by Elder Holland himself. Although it is easy to find the Savior on every page of the Book of Mormon, Elder Holland takes that particular topic to the next level. If you aim is to deepen your understanding of the Savior and how he can be found throughout the Book of Mormon, you'll find a wonderful resource to do just that in this book. 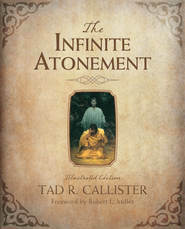 This book did an excellent job of showning how Christ is the focal point of the Book of Mormon throughtout. I thought it was an inspirational book giving hope to any who read it and is a great addition to anyone's library. My husband loves this book! My husband loves this book-he has read it many times over and it has been a great talking point for he and I. This is an amazing book to read. The only reason why I did not give it five stars is that the images used to illustrate the book are images that are frequently used. It would have been nice to see some new pictures. This book was not a fast read. It contains a lot of information and you don't want to miss anything by not pondering it properly. Elder Holland is a master teacher in this book. But don't expect to be fed milk -- this is meat! Without a doubt, the finest gospel literature I have read outside of the scriptures. The testimony affirmation at the end of the book should be read by all. You will not be disappointed if you read this book from cover to cover.